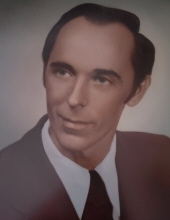 Denver Lakes was born February 25, 1935 Jackson County and departed this life Wednesday, January 16, 2019 at his residence, being 83 years old. He was the son of the late E.P & Pearl (Wyrick) Lakes. Denver is survived by his loving wife, Norma (Wagner) Lakes of Annville. He is also survived by a brother, Ralph Lakes of Miamisburg, OH and Pauline Lakes Melton of Clarksville, TN. He was blessed with several nieces and nephews. In addition to his parents, Denver was also preceded in death by his siblings, Ray Lakes, Blaine Lakes, Beebe Lakes, Clellon Lakes, Hershel Lakes, Hubert Lakes, Dale Lakes and Jeralee (Lakes) Padia. Denver graduated from Tyner High School and went to Sue Bennett College. He taught school and retired from Coke-Cola Company in the accounting department. Denver was a member of the Ashland Avenue Baptist Church in Lexington, KY.
"Email Address" would like to share the life celebration of Denver Lakes. Click on the "link" to go to share a favorite memory or leave a condolence message for the family.